Protactinium (Pa). 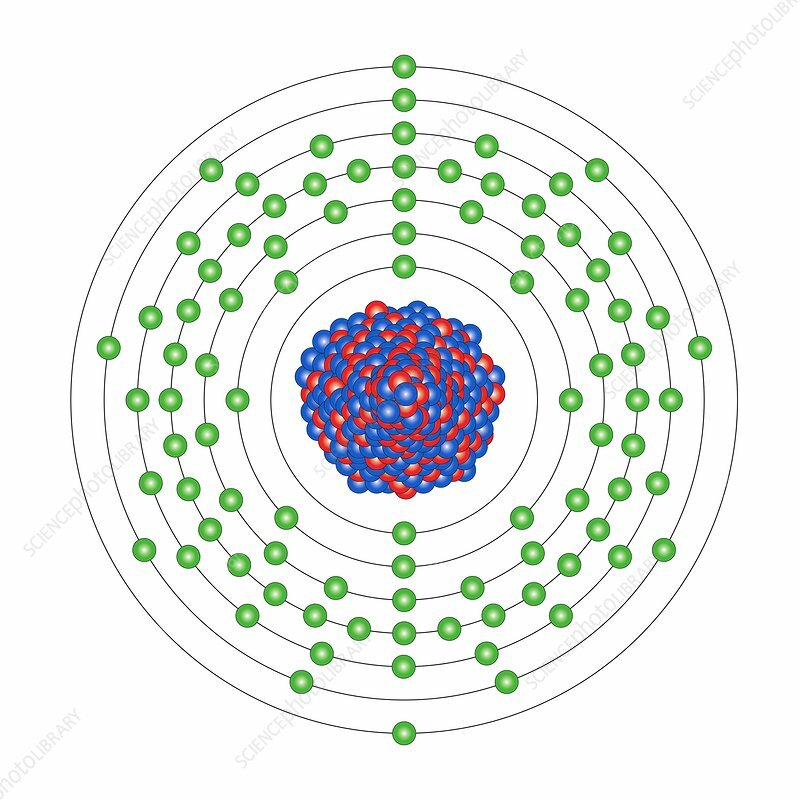 Diagram of the nuclear composition and electron configuration of an atom of protactinium-231 (atomic number: 91), the most stable isotope of this element. The nucleus consists of 91 protons (red) and 140 neutrons (blue). Protactinium is an actinide in period 7, and the f-block of the periodic table. Actinides are soft radioactive metals. Protactinium-231, rare in nature and usually extracted from spent nuclear fuel, has a half-life of 32,760 years. Its unstable nucleus decays by emitting an alpha particle to form actinium-227.